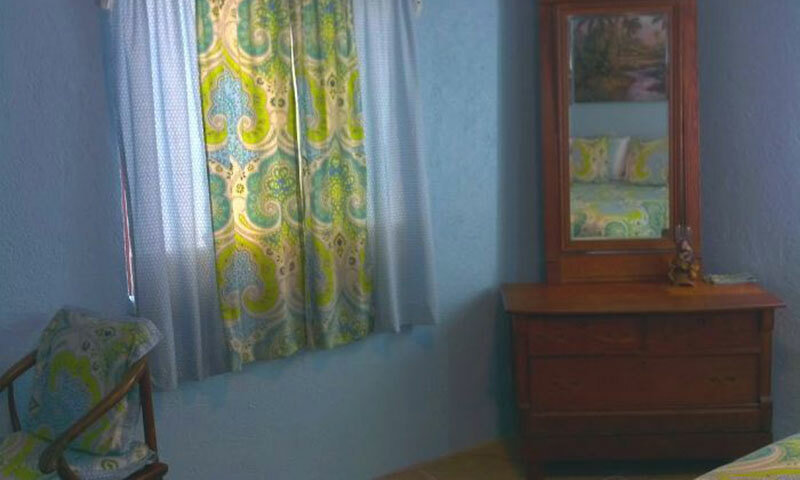 It is almost impossible to contemplate how deliriously wonderful it is to stay in Casa Konomi. So quiet, so peaceful, so full of wonderful scents and melodic birdcalls. 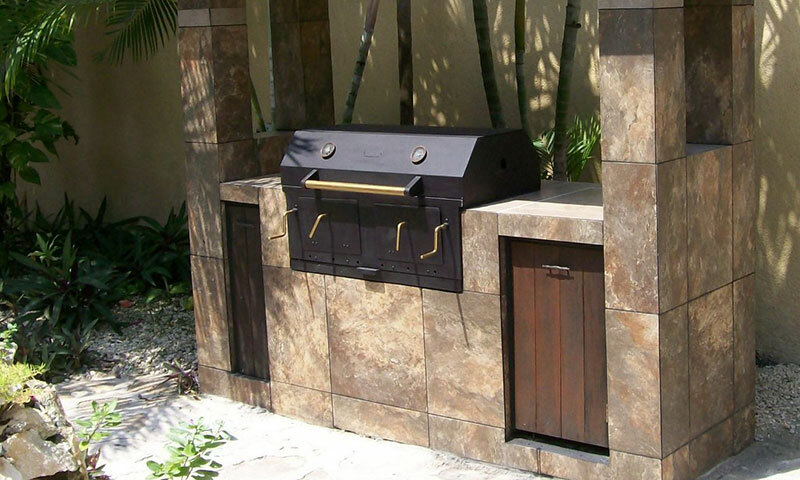 With all the niches and spaces, this lovely home still accommodates multiple guests with comfort and privacy. Enjoy a lazy morning read in the hammock outside the master bedroom, or share a cozy moment on the matrimonial hammock on the main veranda. If you are the type of person who needs to be busier than that, try an early morning dip in the pool surrounded by greenery and blossoming Bougainvillea. Whatever your taste, this home is the kind of place where you will find yourself staying at the villa during the day rather than venturing out from your comfortable spot in your own personal paradise. This is Mexico yet it feels like home. 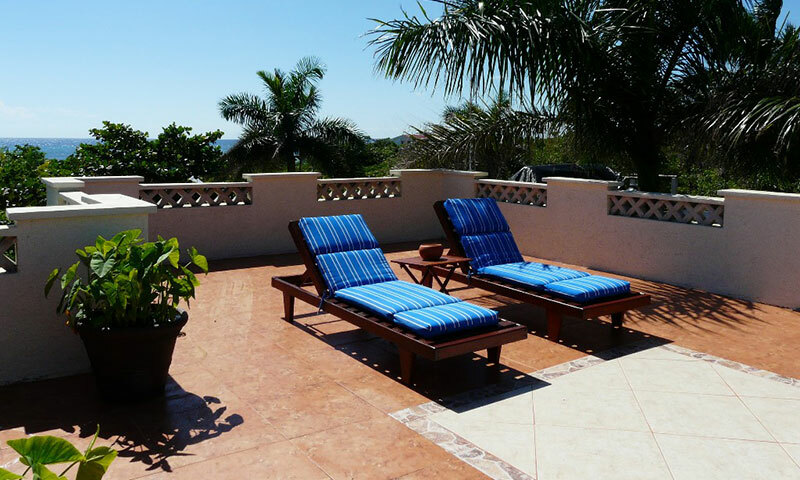 Casa Konomi is perfectly situated between Half Moon Bay and Yalku Lagoon. The walk to the sandy beach, or the lagoon, both prime for snorkeling, is under 3 minutes. The location gives guests the unique opportunity to be secluded, creating a private escape unlike any other rental home in the area. Every minute of the day is spent with the tranquil sound of breaking waves from the ocean waters surrounding the peninsula the home sits on. 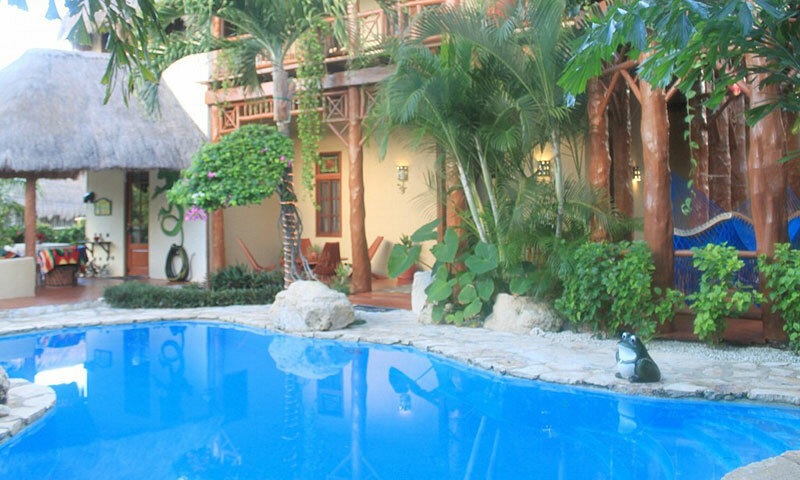 There are three bedrooms in this villa. 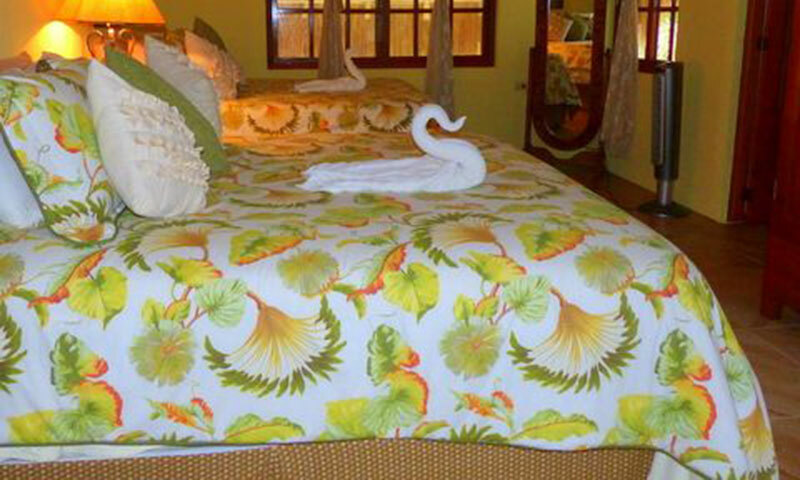 The floral style master bedroom Blue Lagoon and second bedroom Mapumalanga ("the setting sun") with its safari theme are on the second floor. 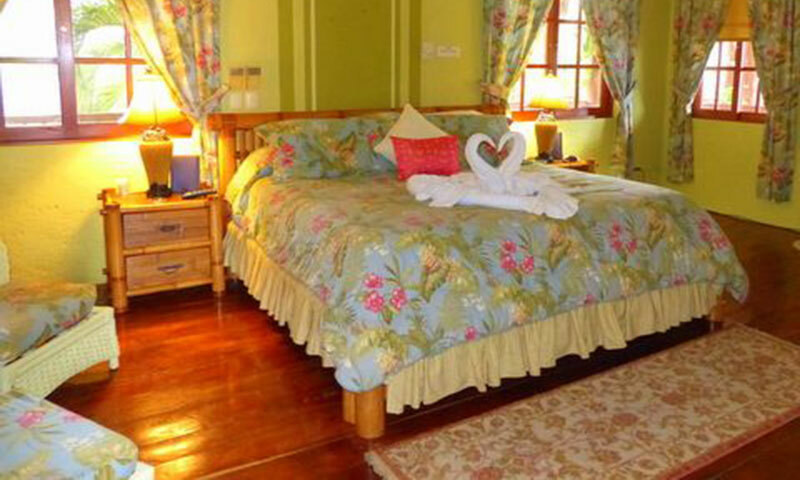 The third spacious garden bedroom Shangri-La (which can be rented alone as a bungalow in the low seasons) is on the main level. 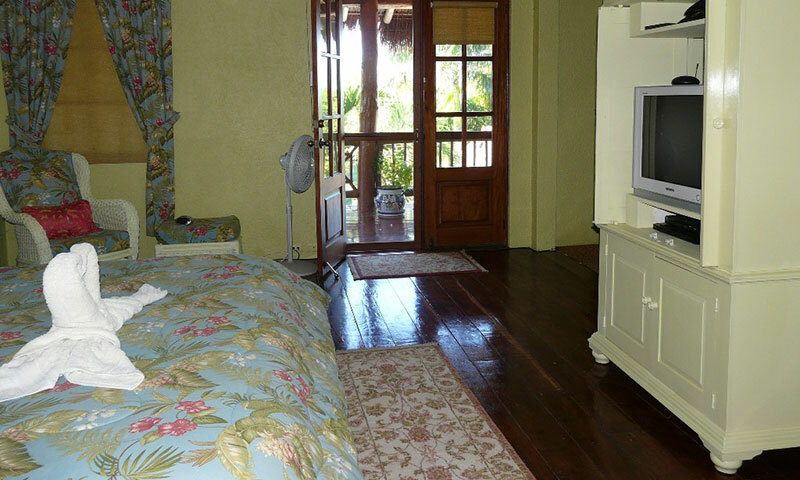 Every room has two entrances, one leading to a veranda, another to the inside of the villa. 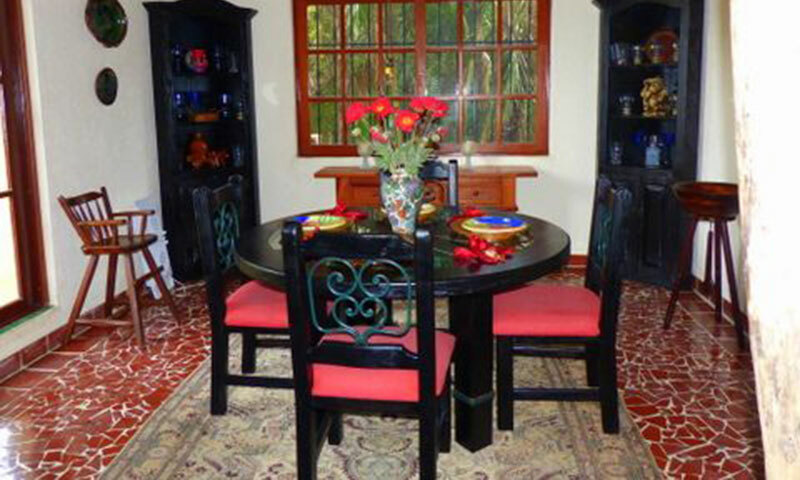 Casa Konomi has amazing attention to detail, from the monkeys carved into the building's decorative architecture, to the many stained glass windows featured throughout the house. 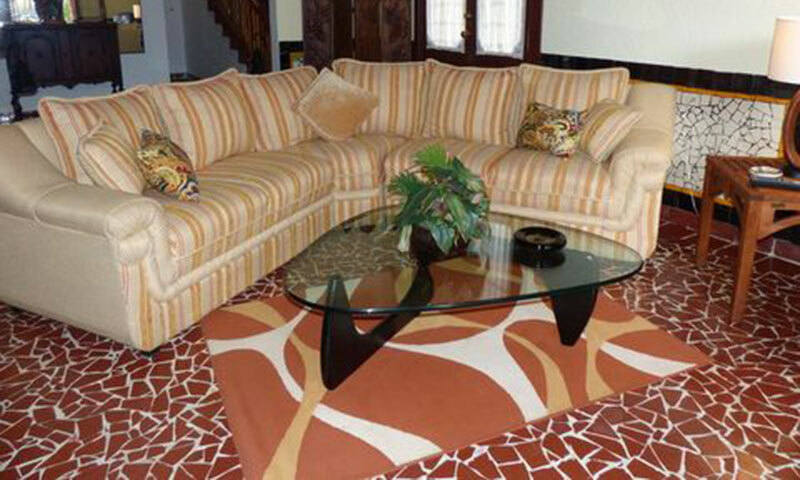 The living room and dining room have been carefully thought out with no cost spared for aesthetic themes. 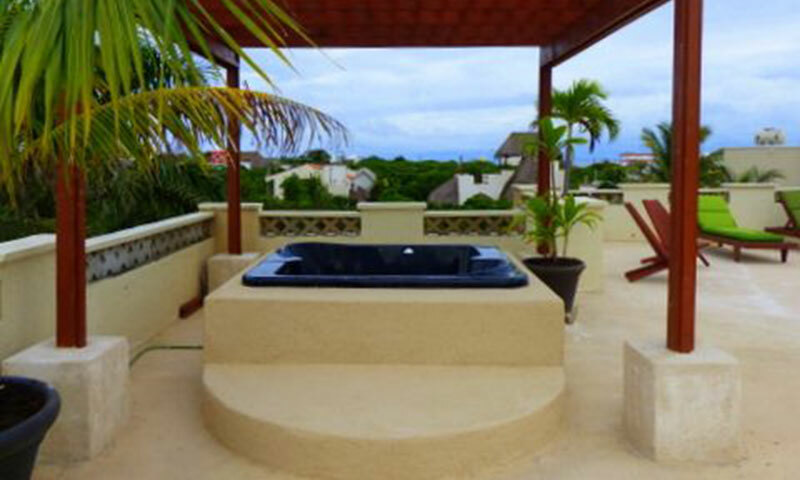 The newly tiled rooftop terrace offers amazing vistas of the sea, the jungle and the lagoon. Enjoy an evening filled with stars from this top floor retreat. Everything needed for a perfect stay is on hand and the staff is at your service to help. Quite unusual to rental homes, there is a fully equipped laundry room with a washer, dryer and plenty of cleaning products. For a small additional fee and with some notice, the maid will gladly do laundry for guests or the caretaker can arrange for a cook. 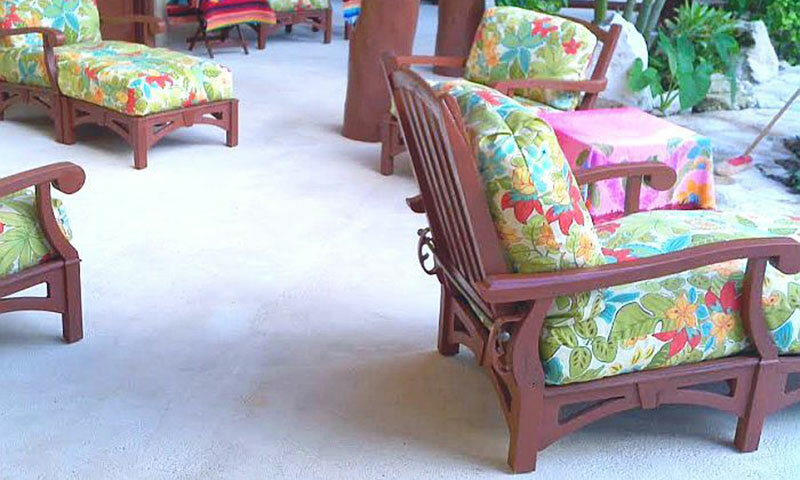 Leave the bulky beach towels at home, Casa Konomi will provide as many beach towels as needed. The home is equipped with a safe for valuables. 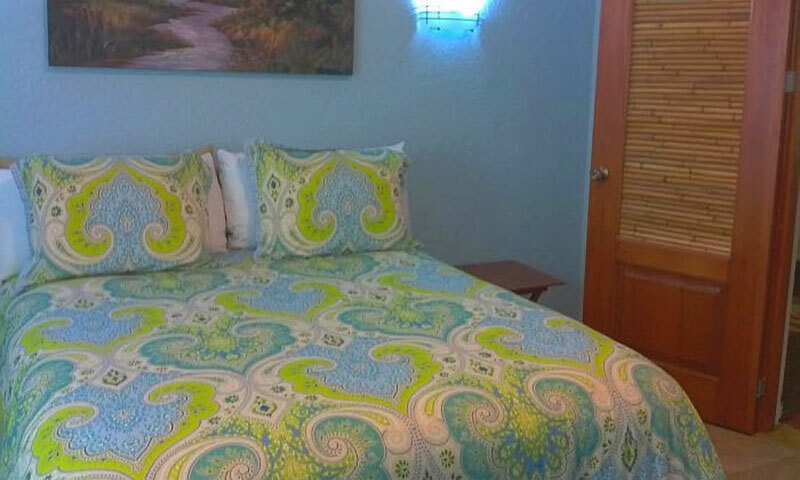 Every bedroom has air conditioning as well as fans. Each has a walk in closet. The bathrooms are large and spectacular. 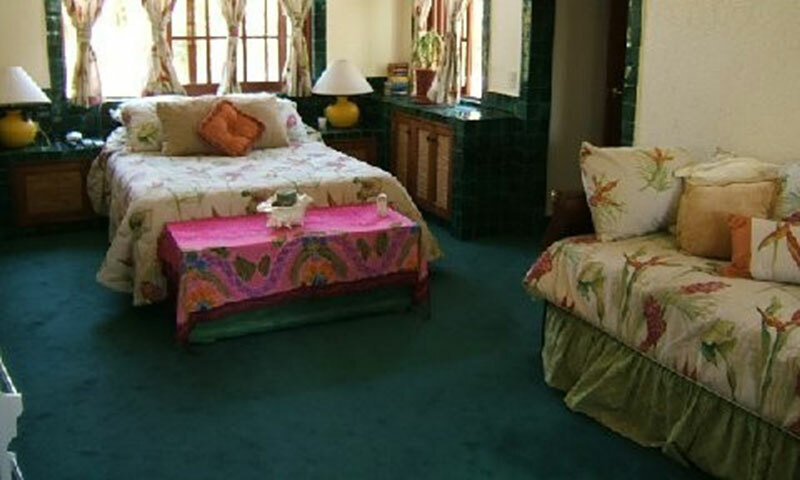 Rare to the area, bedrooms have soft carpeted floors. 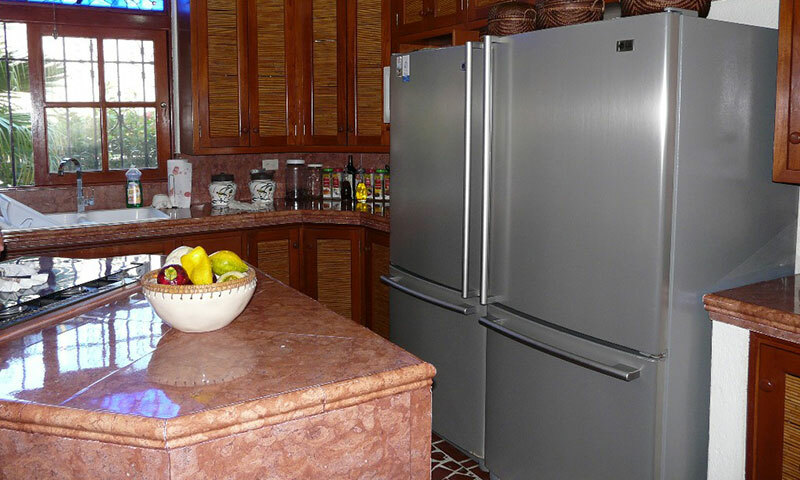 The spacious kitchen is equipped with two refrigerators, a state of the art stove, a full size microwave, a gourmet coffee machine and more. There is nothing this kitchen does not provide. 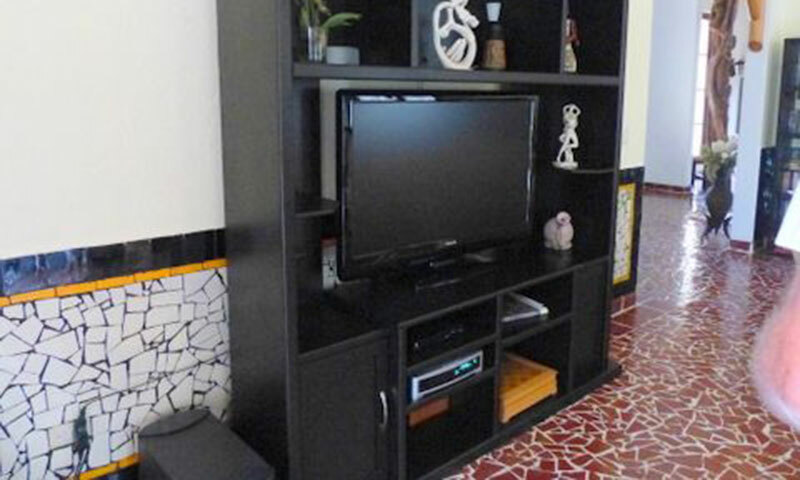 Four flat screen TVs give choices to guests, one in the living room and one in each bedroom. There are plenty of DVDs, CDs and VHS videos for your enjoyment, as well as DISH TV if all you want is the sound of music playing while you fall asleep beside the pool. Wireless internet is available in Casa Konomi so please remember to bring your laptop should you need to keep in touch with family at home. Casa Konomi is going green too! Eco friendly light bulbs have been installed throughout the villa. Six all terrain bikes are on hand for those wishing to ride. Not the biking type? No worries, a golf cart has been provided for your stay. Please leave a $100 refundable deposit with the caretaker should you wish to use the golf cart for trips to the lagoon or to the grocery store. 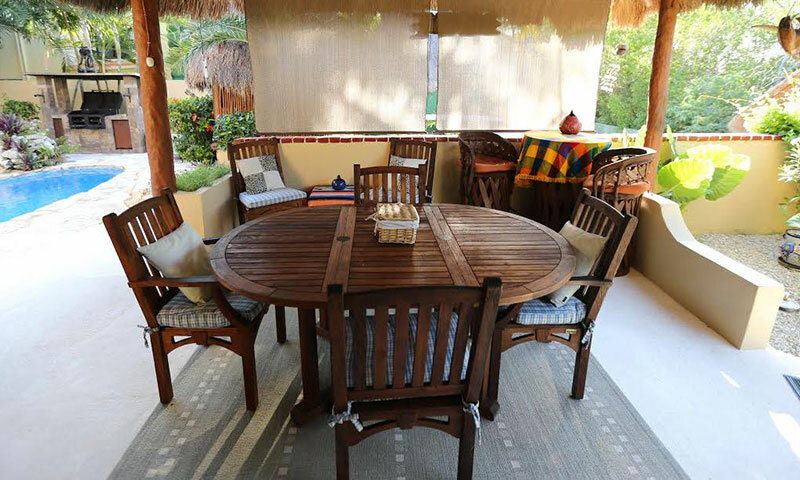 There is nowhere else where you will feel the life being breathed back into you like at Casa Konomi. 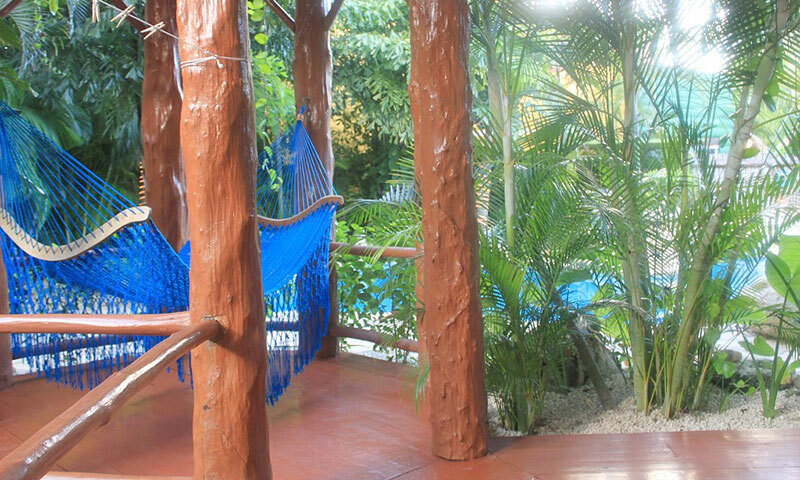 This is a place for rest and relaxation, a resort in itself, an oasis in paradise. 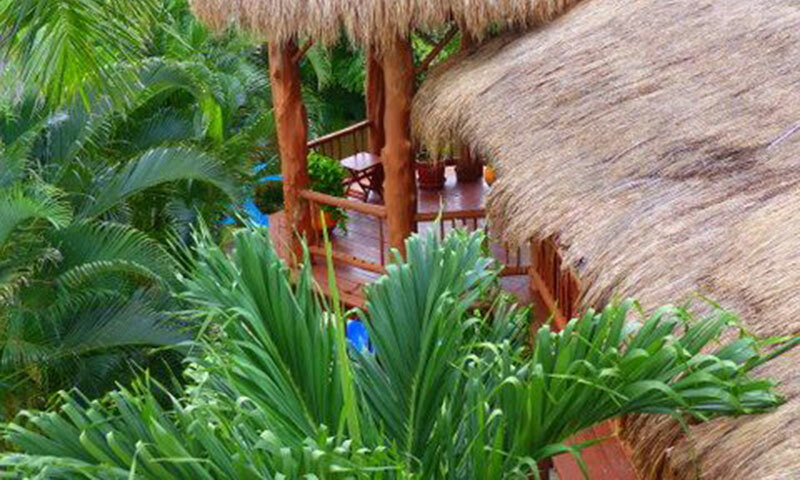 The Bungalow will only be rented out with special permission, in non-peak weeks. 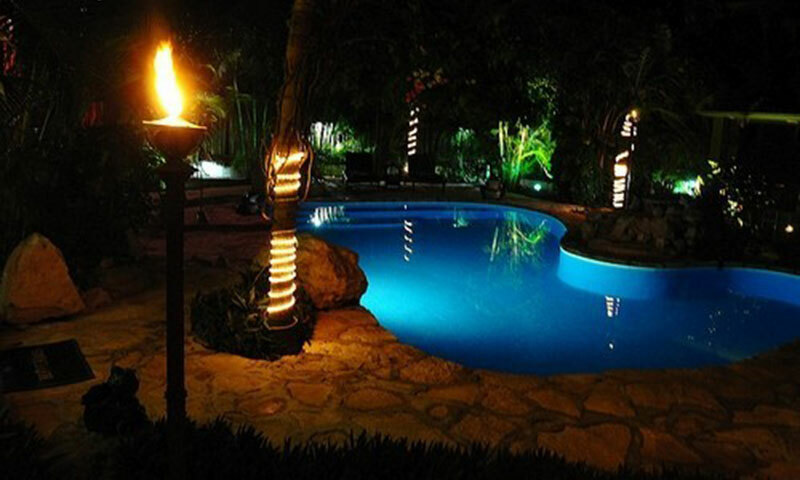 Guests can pre-arrange for a professional nighttime security guard for hire ~ $250-$300/week. * All Holiday reservations must be booked for a minimum of 7 nights. 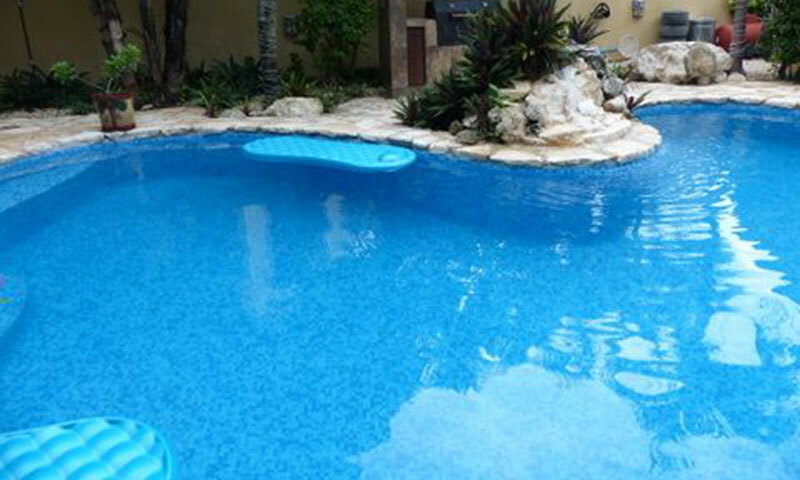 ** Villa Special does not include holiday weeks. A refundable Security Deposit of $1000 for new renters will be collected upon final payment, by check and returned or destroyed once the property is vacated in good order. A Security Deposit of $100 for use of the golf cart will be collected onsite in cash by the caretaker and returned once the golf cart is returned in good order. Rates on bungalow are based on base number of 2 guests.